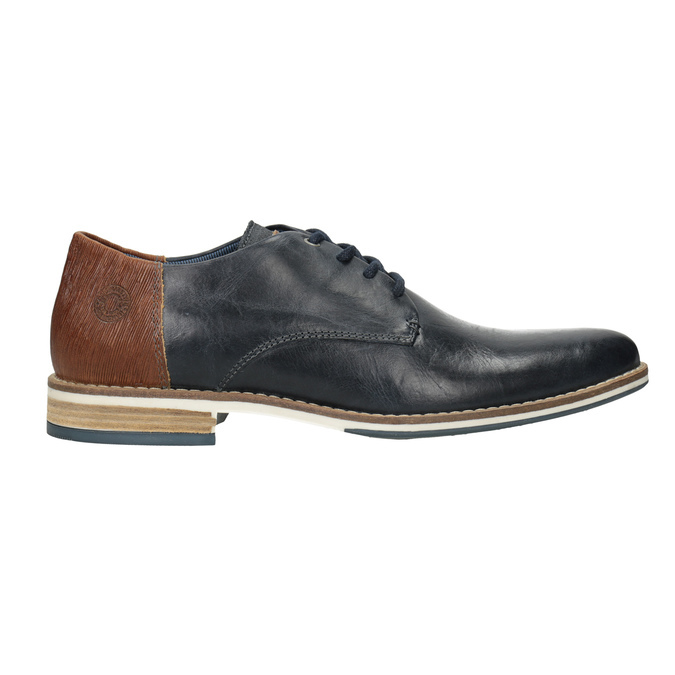 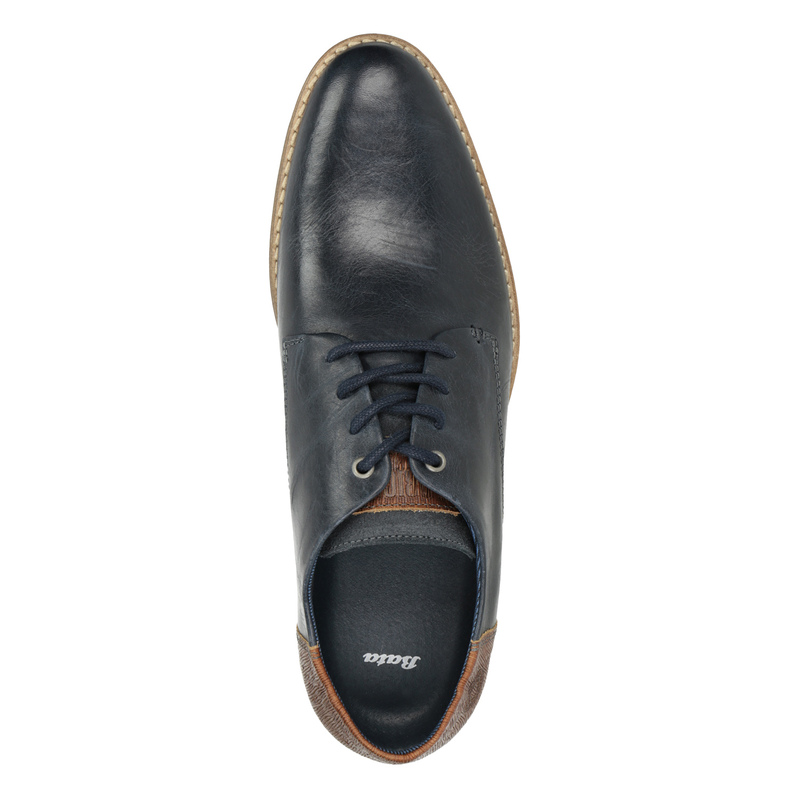 These men's leather Derby style dress shoes will grab your attention with their uniquely designed upper- it consists of a combination of a dark blue and brown part. 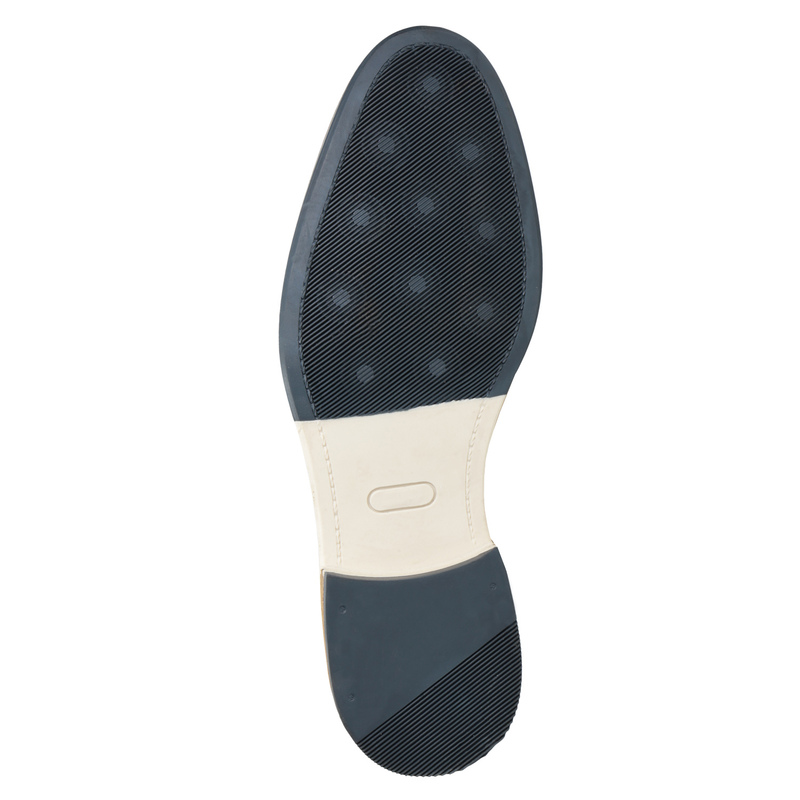 The embossed logo is an original element and there is also distinctive stitching around the derby and sole. 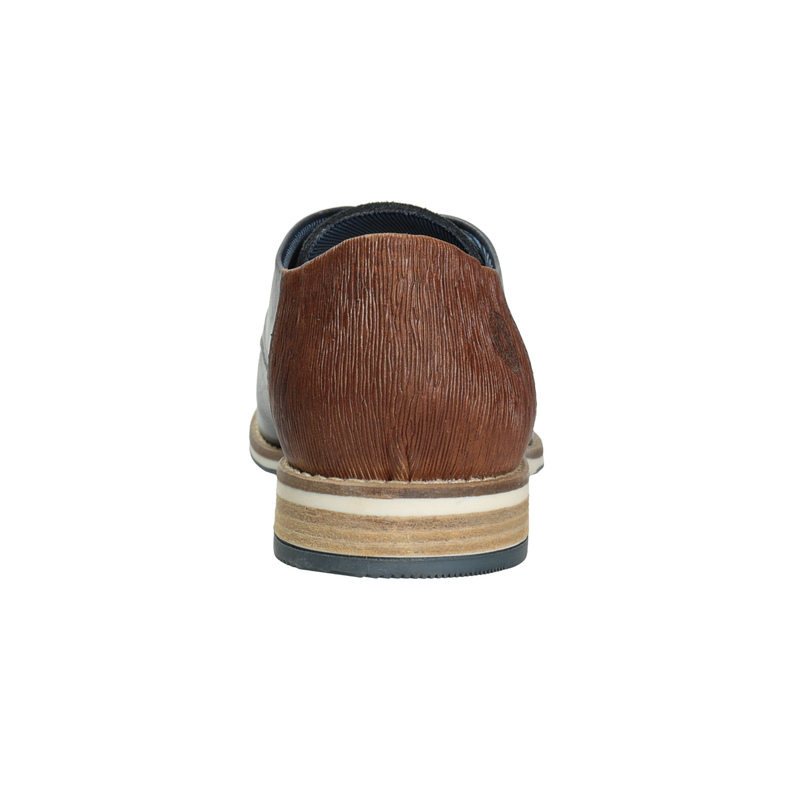 The sole consists of several stripes and ensures maximum comfort throughout the day. 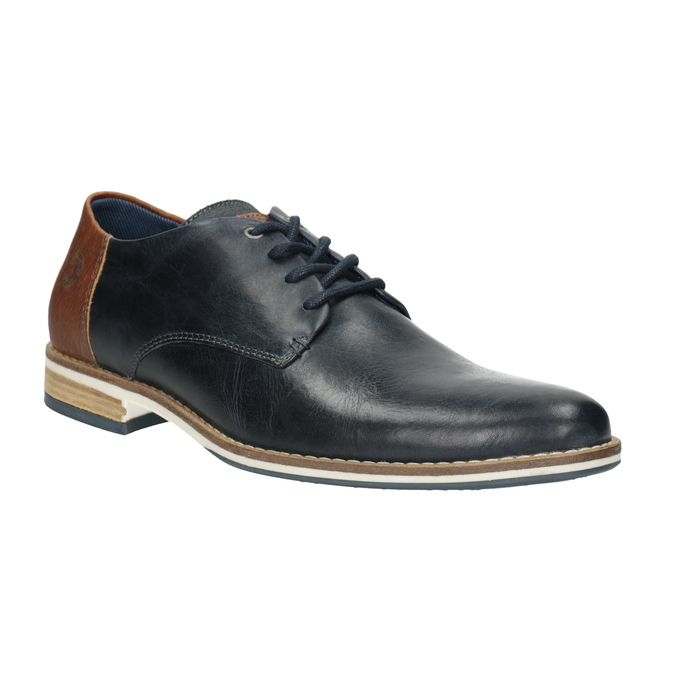 Wear these shoes with less formal outfits and too off with a leather belt.